Why Denver? How could podSlam‘s amazing, passionate, beat-like poetry come out of what most people think is a cow town? Is there anything more to Denver than a gateway to skiing and the home of Broncomania? Check out the poets at podSlam.org and you’ll wonder too. 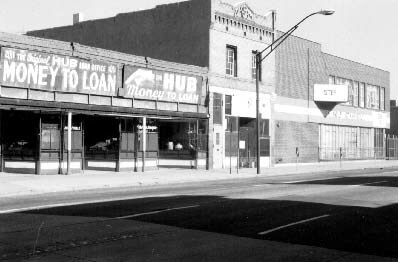 In the winter of 1995, only two blocks remain of the Larimer Street Neal Cassady knew. For forty years Larimer used to stretch as one long skid-row for most of its 25-block length, but today only two true skid-row blocks remain, between 20th and 22nd: bars that open at eight in the morning (signs say “No children after 5:00”); pawn shops where Cassady very likely pawned anything he could get his hands on for quick cash; a 12-step recovery shelter, three bars, two liquor stores, a barber shop, and a Mexican bakery. At most, maybe three men are unconscious now on any given morning, where once there’d have been fifteen or twenty (gentrification has moved the shelters almost ten blocks north). Instead of Larimer, the men wait for the sun to come up at 23rd and Curtis. Read the whole thing – it’s great. It makes you realize what no current visit can – that Denver was to the Beat Generation – and modern American poetry – what Kansas City was to the Golden Age of Jazz and, ultimately, to BeBop. I find it amazing that these two midwestern cities were the wombs for modern poetry and jazz, respectively. The best work of all about Denver and the Beats are the central texts: Cassady’s “The First Third,” Kerouac’s “On the Road” and “Visions of Cody,” Ginsberg’s “The Great Rememberer.” Buy them, come to Denver, walk these streets, get at American ghosts. 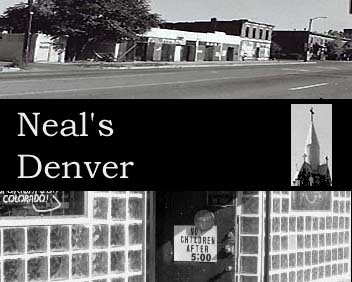 Or go to the podSlam, filmed at the corner of 15th & Wynkoop, right in Cassady’s hood, by (mostly) young poets who may not know a central truth: many of the same old white farts who now resent or regret the truth of the poet’s words once nodded to Neal Cassady’s words and spirit, channeled by Kerouac. Build that bridge, and the generations can be healed. Next Next post: Oops, It Didn’t Work!